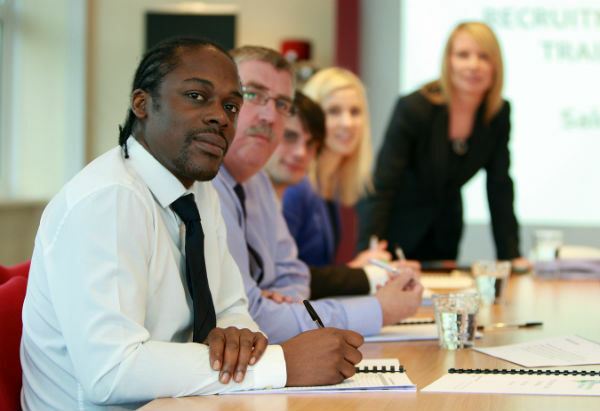 Our training academy starts on day one of employment and continues throughout your time with Resourcing Solutions. The academy is managed by our in-house training department which consists of highly experienced and successful recruiters. Our experienced Trainers will ensure you have all of the critical skill sets required to be successful in your role and you will benefit from a personalised training programme which includes the opportunity to gain industry specific professional qualifications and globally recognised management qualifications. We have put together a menu of internal and external training courses which all staff can access which are designed to upskill both sales and support staff at all levels from trainees to management. For information on our employee vacancies please visit our current vacancies page or read our employee case studies to see what our employees say about working for us. Alternatively, please call Amanda Mortimer, Rebecca Bainton or Alison Jackson in our talent acquisition team on 0118 924 1135 or email recruitment@resourcing-solutions.com.